As I discussed in my finance blog, I switched from cell phoneless to Republic Wireless in November 2014. I picked up a used Republic-compatible Motorola Moto X 2013 (1st generation) at a nice discount on Ebay, and it served me valiantly over the last sixteen months. Now that I can buy cellular data by the megabyte, I'm using the phone quite a bit more and I decided to upgrade to the Motorola Moto X 2014 (2nd generation). It's an upgrade cascade: I passed my old phone to a family member to upgrade them from the Moto E, and their Moto E will go to grandpa so we can get him off of Consumer Wireless. Once again I got a great deal on Ebay, picking up a like-new Moto X 2014 for $225 shipped. My case and screen protector kept my old phone in mint condition despite all the abuse I heaped on it, so I stuck a simple case and screen protector on my new phone too. 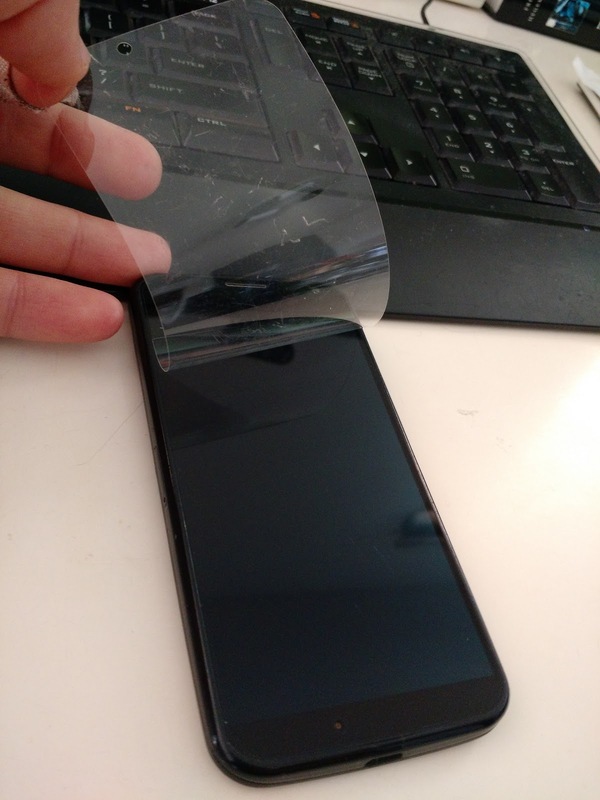 the screen protector soaked up all of the pain, and the glass underneath is nearly perfect! Only one problem: the camera GUI displayed upside down, and all photos and videos I shot came out upside down too! • AndroidCentral: Why is my Moto Camera all of a sudden taking inverted display and pictures? • Reddit: Moto X - Anyone else having the rotate bug? You can use a sensor app to verify that the problem is a stuck orientation sensor. Several people reported success 'unsticking' the phone's orientation sensor by banging it against something(!). I hit the sides of the phone against my hand from every angle, to no avail. One forum poster reported that the phone was fixed by dropping it. One short drop onto its back on my desk fixed it instantly! The camera is rightside-up again, and the auto-rotate features in all other apps works fine. I'll update if the issue comes back!